I've tried downloading the latest .ADMX files and I created a central store for them. I see the server is getting it's policies from the central store, but I'm still not seeing Deployed Printers. Yeah, I can share it via preferences in User Configuration and it works fine, but I'd rather make it a computer configuration policy that does it by share. We have a lot of users that move around, so I'd rather them get the printer that's within a close proximity to the PC they're at. Under preferences in Computer Configuration there's an option for printers, but it doesn't allow me to do it by share. I appreciate the response, but I'm more curious as to why I don't see the options I'm supposed to be seeing. Am I missing some policy definitions? Do I need the Print manager role on this DC to have the Deployed Printers settings available? 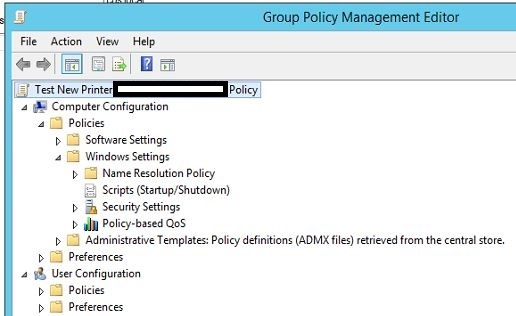 Only administrative templates are controlled my .admx files. Every other item in GPMC is a registered .dll. Missing items usually means a bad/corrupt install of GPMC. Is this on a management station or an old machine? 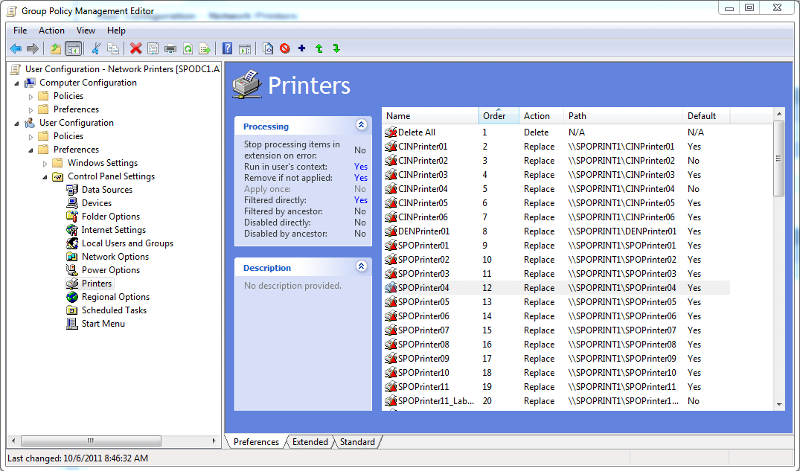 Click Next and Install to install printer server role. Thus my question if this was a management station or not. It isn't deprecated as your (deleted?) 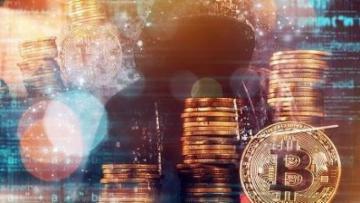 comment suggested. This was on a domain controller that I'm using Group Policy Manager. The printer itself isn't on this DC, it's on a separate print server. It looks like installing the Print Server role did the trick. 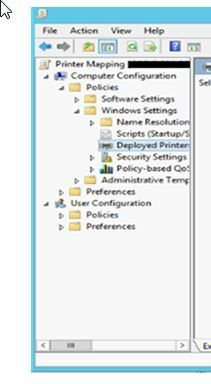 As soon as I installed it and rebooted, I now have the Deployed Printers option under Computer Configuration -> Policies -> Windows Settings.